If you look up project adventure, much of what you talk about here is covered… The goal of project adventure is self-actualization. While the goal of instruction/education is self-sufficiency. Though I think self-sufficiency is a form of self-actualization.– the aim should be for Self-actualization (as a pilot; being one with the plane) while reaching self-sufficiency. One goal of flight is self-sufficiency for sure. Another is acquiring all the skills/knowledge/judgment necessary to fly in a complex system with others- – and *that* happens only because of careful aviation education, not self-guided experimentation (hopefully). The learning is not self–guided… It is direct by facilitation… the facilitator directs the participants to learn on thier own but yet under the guidance of the facilitator, the facilitator whom provides the experience, knowledge… and a safe environment for the participants to gain experience of there own. The only way to learn is to do & experiment in a safe environment. I think this is an example of good chunking before we talked about things like chunking. As a DPE I would always flinch a little when I saw an instrument applicant’s logbook with multiple approaches on the first lesson. Usually these unfortunates would demonstrate poor basic attitude flying skills. What is puzzling to me is the need to even address these topics. I felt the same when scenario based training became a “thing”. I and most of the instructors I worked with had used both inside and outside scenarios for years before their “discovery” by FITS. Every CFI candidate has to pass tests that include pretty complex stuff – learning domains, hierarchy of needs, building block merhod, and much more. So how do we end up with 42 landings (or five instrument approaches) on the first flight? I’m having trouble processing this situation. Maybe I need to break it down …..Chunking! This CFI you observed obviously had a great technique he came by naturally. For most of us that is an acquired skill and “chunking” is just one tool in that educator toolkit. Interestingly, some form of chunking is an essential tool all pilots use naturally in cases of super-high workload to avoid being overwhelmed. We should all be able to recognize the symptoms saturation and impending crisis (perceptual tunneling, forgetting critical items) It is time to “triage” and prioritize the essentials. Startle and surprise from weather, disorientation (whatever) often precede Loss of Control; the brain checks out first and we stop “working the problem”. 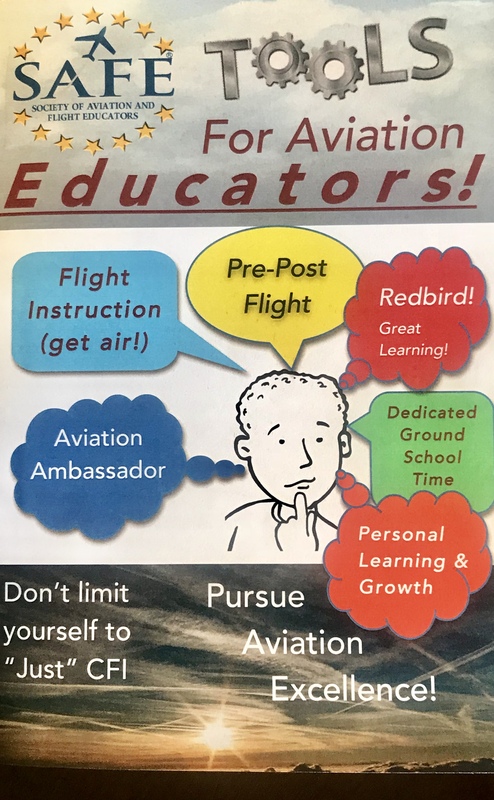 Previous Previous post: CFIs Become “Aviation Educators”! Next Next post: New CFI…Congrats! License to Learn!